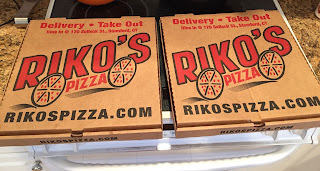 Riko's Pizza is a Fairfield county pizzeria, and my husband orders time to time when he wants to get Colony but he doesn't wanna drive to pick up the pizza because Riko's Pizza, on the other hand, delivers. 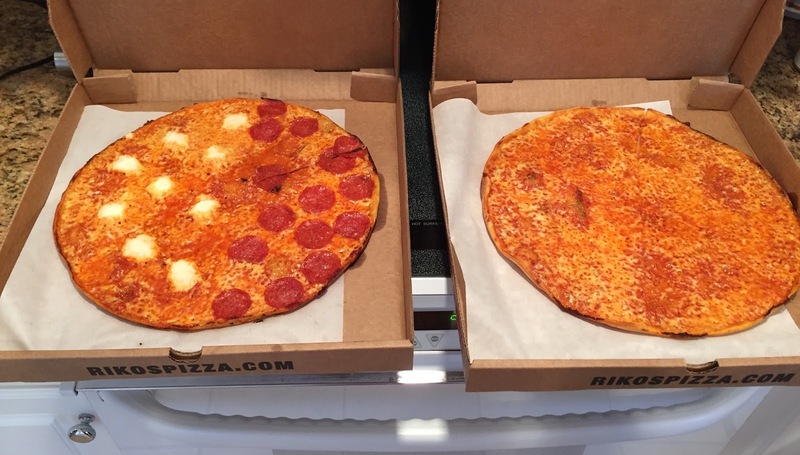 We got 2 pizzas and one was Plain Cheese and the other one was half ricotta and half pepperoni. 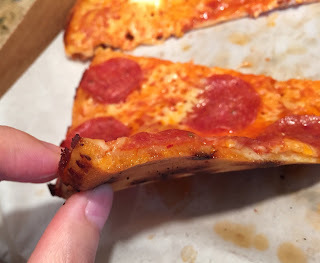 The pizza looked similar to what Colony Grill serves, but the dough was thicker. The color of the bottom and the dried texture were both very similar. 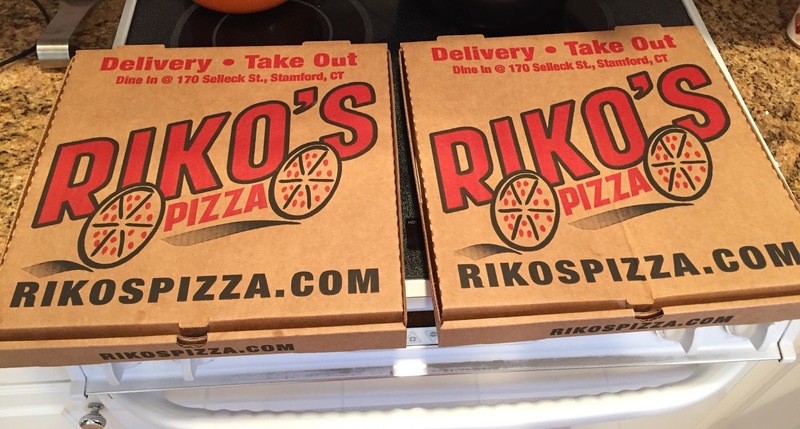 It had same chewy texture that Colony Grill's pizzas have, but Riko's Pizza uses thicker dough so that it had tougher and chewier texture.